There are no refunds, but your ticket can be used by a friend or family member. Can I leave the festival and come back? This festival is a NO-RENTRY festival. You may not re-enter. Getting home is easy, we rent a fleet of taxis to take you home from the festival. These safe rides are provided free-of-charge starting at 3 p.m. The cabs will take you from the festival to anywhere in the greater Wilmington area. Please tip your drivers generously! Can I drive to the festival myself? There is no parking at the North Waterfront Park–but Wilmington has millions of parking options. You can park anywhere you’d please (of course abiding parking laws). What are the Designated Driver tickets? The designated driver (DD) ticket allows entrance to the festival, but no drinking privileges. Designated drivers entering the festival must be 21 years of age or older. Can I drink wine with my beer ticket? Can I take my child along? What are the age restrictions? Parents may bring children under the age of ten. Children ten and older are not permitted in the festival grounds under any circumstance (designated driver tickets are not an exception). 21 is the minimum age for adult festival attendance. Can I bring a cooler/water/drink bottles? Coolers, bottles, or drink containers are not permitted into the festival grounds. Water stations are conveniently located around the festival. 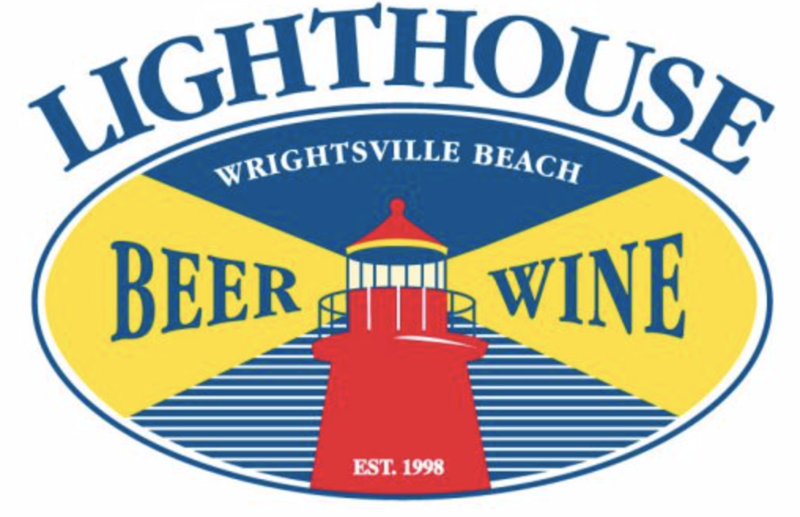 Is Lighthouse Beer & Wine open during the festival? Yes! The store will be open on Saturday from 10 a.m. to 9 p.m. I am having issues with my online tickets, who do I contact? Lighthouse Beer & Wine cannot assist with technical issues involving online ticket sales. Use the the contact question form on the Eventbrite website for our event…you’ll get a prompt response. What if I do not have an ID? Sorry, no one will be allowed to enter the festival without valid proof of age. This includes a valid driver’s license or passport. No ID = No entry. The festival will be held rain or shine. Check the weather before you leave your abode and dress appropriately, because there is no bad festival weather, just bad festival clothing.